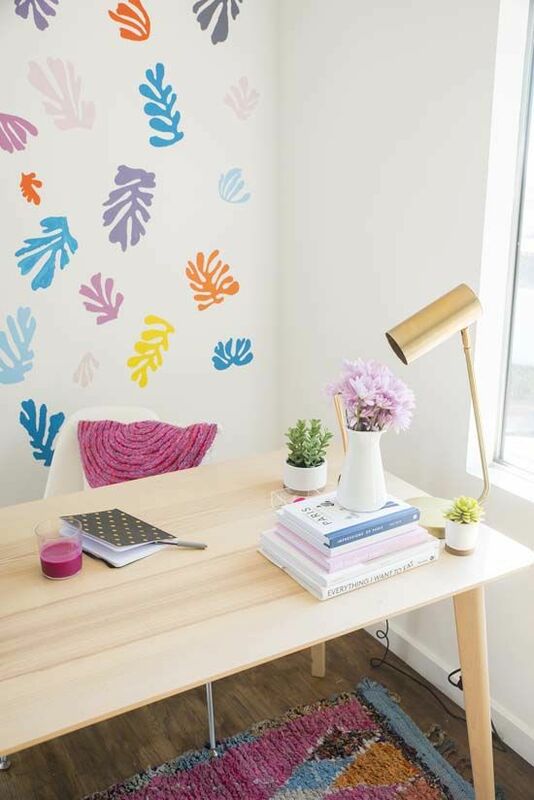 sometimes you just want to brighten up a plain white wall without a lot of fuss or hassle and wall stencils happen to be perfect for that! 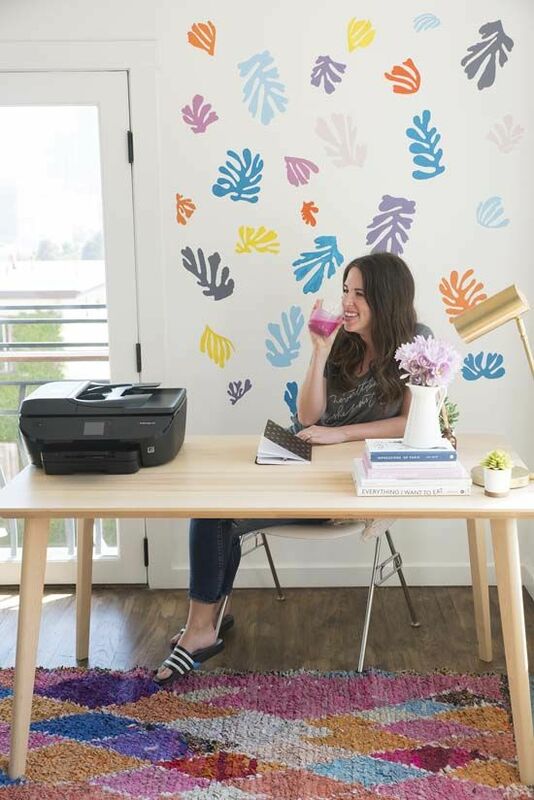 we partnered with our friends over at HP to celebrate the launch of its latest and created a series of printable stencils that can be used to update any room in your house (they’d also make great posters too!). 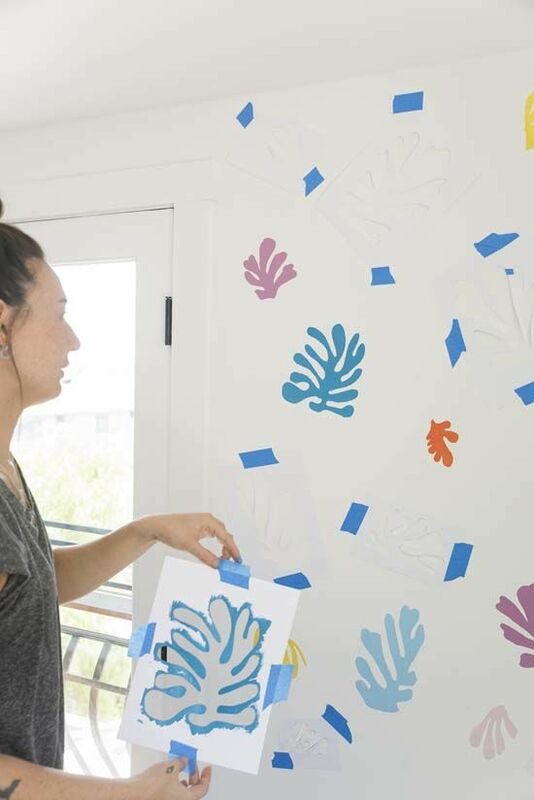 the inspiration behind the design was from my love for Matisse and how i’m seeing his influence in design pop up more and more. his use of color, the organic shapes, the repetition of his designs and the scale of his paintings…all of it creates such a positive feeling and something i could stare at for hours. when i saw his work in person a few years ago in amsterdam i was so blown away. 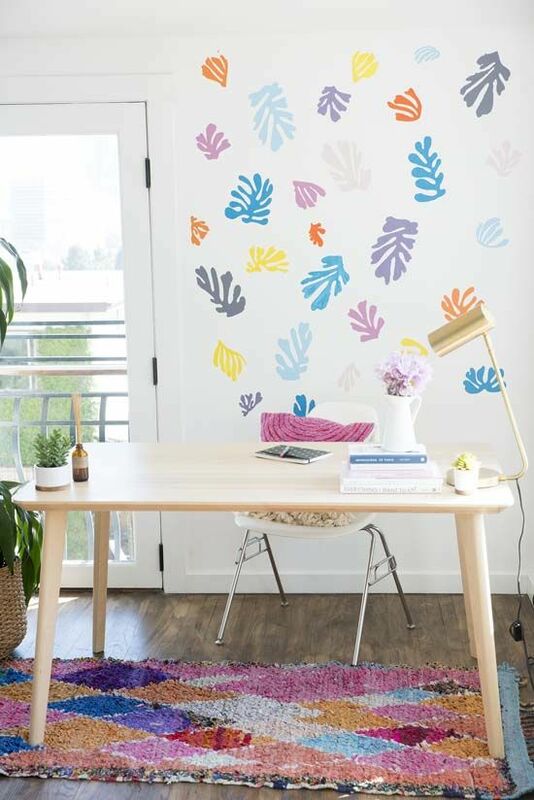 we used the stencils to update a corner of our office, and i love how it turned out! 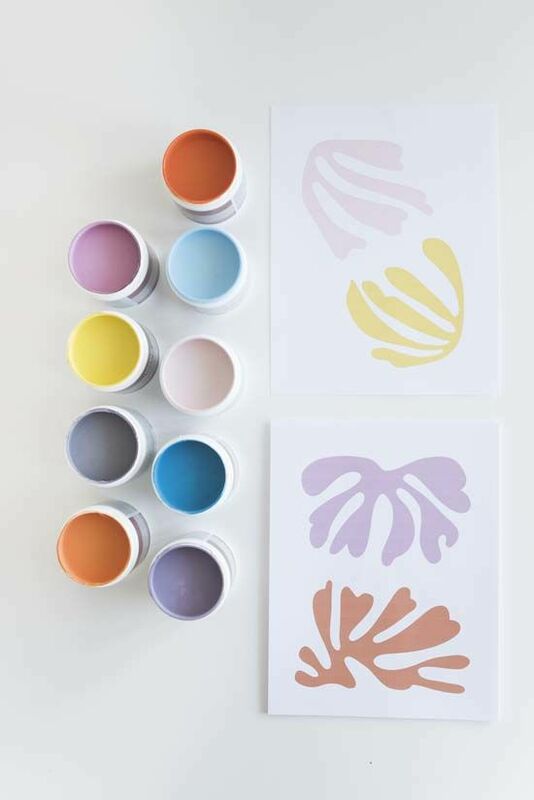 let us know how you put the stencils to use. 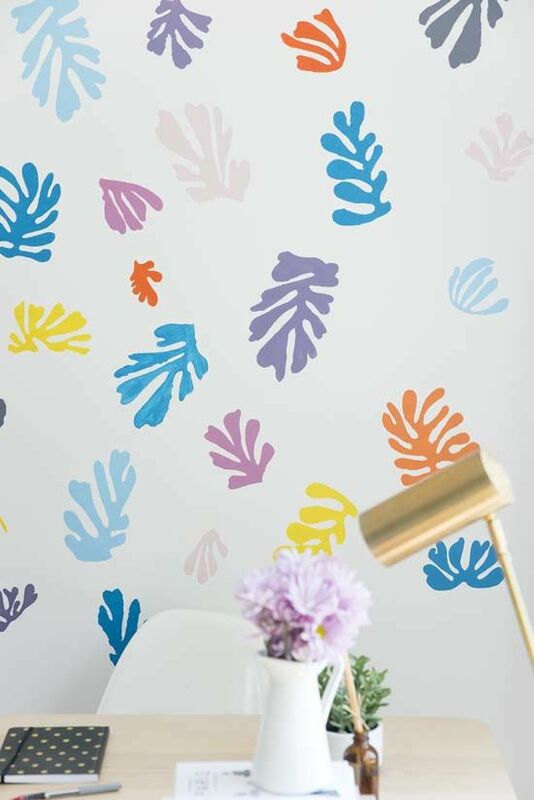 there are a lot of different shapes in the attached PDF, we used a variation of them but you could just use one or two if you have a smaller space or place them really close together and make it feel like wall paper. 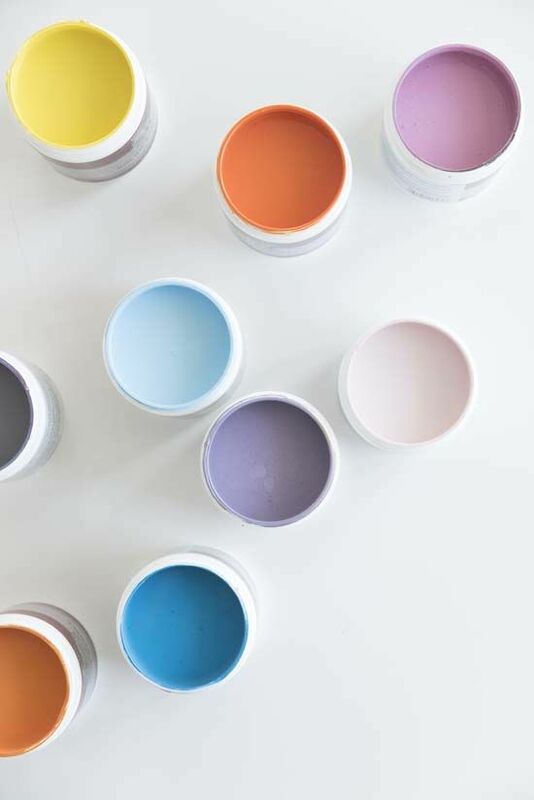 • paint colors of choice, all of our paint is from Behr and we used matte finish. 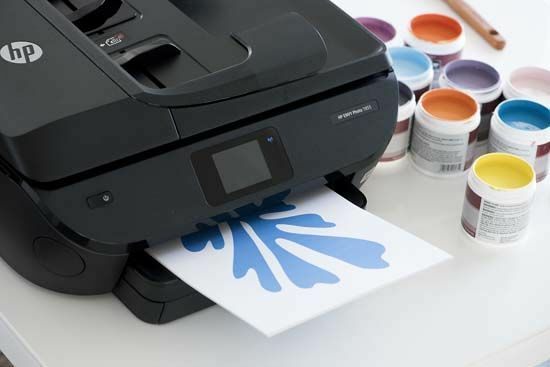 • start by printing out all of the stencils that you want to use (above). we used xacto knives for the cutting but you could also try scissors too. 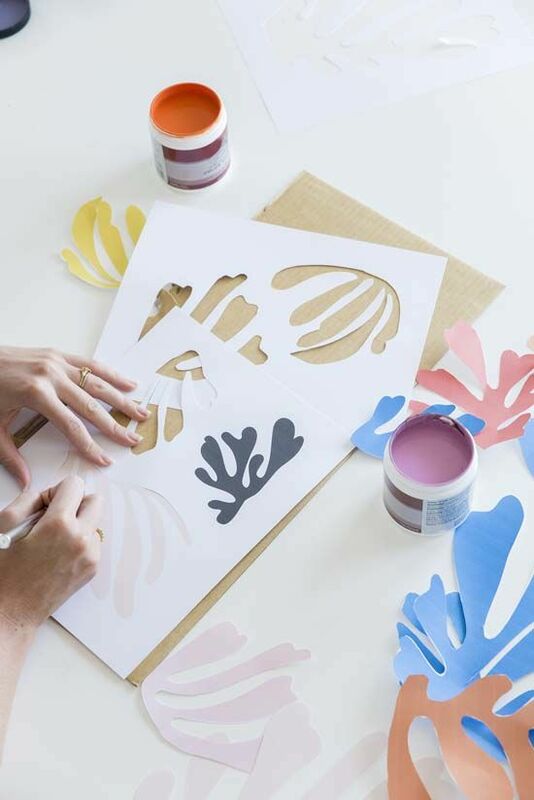 put the stencil on top of a piece of cardboard and cut along the edge of the designs. 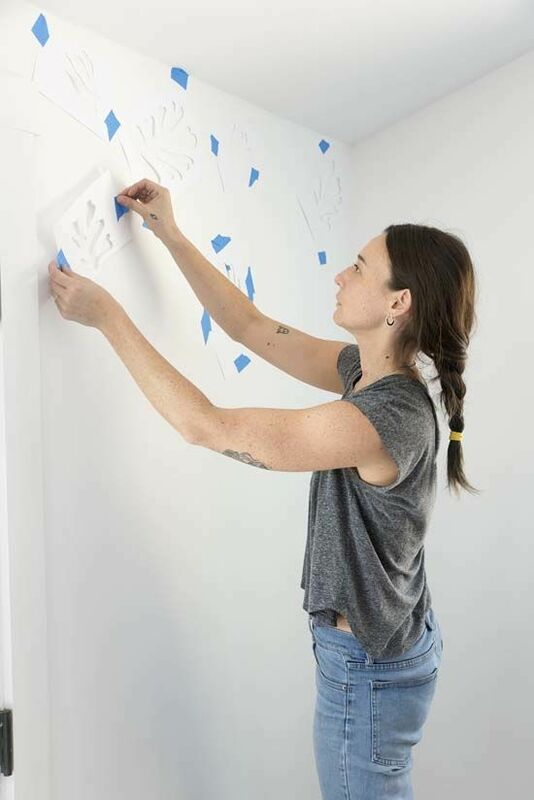 • to secure the design to the wall first put double sided tape on the back of the design along the edges so that you can get a really clean line. next secure to the wall with painters tape on the edges. 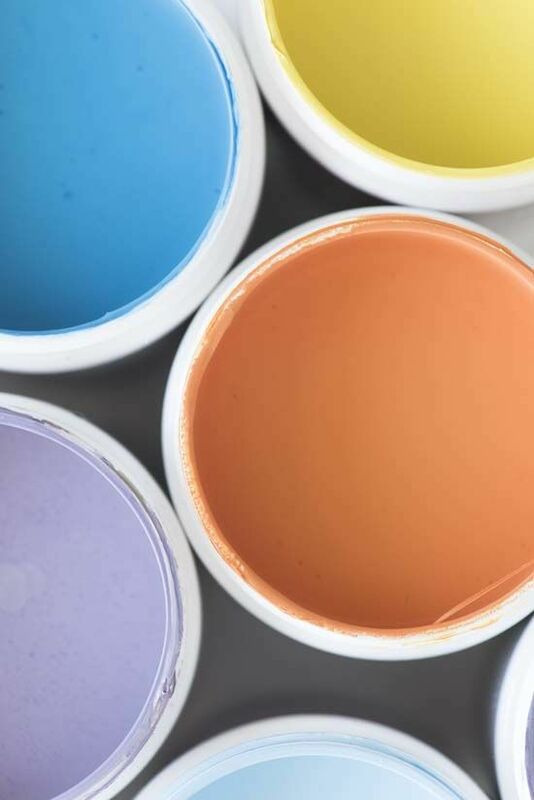 • for the painting, you’ll want to be really careful along the edges and make sure that your brush isn’t holding any water so that you avoid any drips and leaking through the paper. 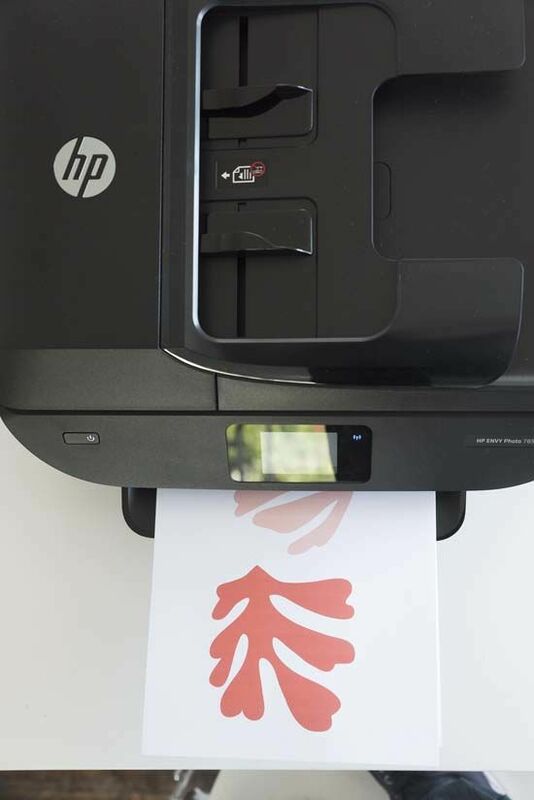 • let dry for 15 minutes, remove the paper and you’re done! we only did one coat of paint because the colors were really saturated but you could do two coats if needed. totally unrelated… where is that desk from? i’ve been looking for one like that forever! Matisse is my all time favorite artist! I love your take on his cut-outs. I definitely see his work as my main source of inspiration. Love this idea! So simple 😮 Thank you for sharing! !